Property owners now have an additional four weeks to get their boat slips dredged. Over and over, the giant excavator operated by Scarborough Marine Group dipped its claw into the lagoon waters and scooped up gobs of gooey black muck. For all anyone knows, the mud-like sediment could have been lying at the bottom of the lagoon in front of the Harbor House Condominiums for a millennium, explained Sean Scarborough, owner of the dredging company. Thick sediment has been clogging Ocean City’s lagoons and channels along the back bays for years, but it is finally being removed one scoop at a time by Scarborough’s company and other dredging contractors. Since Nov. 29, Scarborough Marine has been clearing away truckloads of silt from privately owned boat slips to make them useful again. The muck is so deep that it has literally replaced the water that is supposed to be under the boats. The boats, in turn, are marooned at their own slips. “Many slips at low tide are dry. They’re not slips anymore. They’re back yards,” Scarborough said descriptively. Sean Scarborough’s company is dredging private boat slips along Ocean City’s bayfront. Ironically, the silt being hauled out of the lagoons by Scarborough Marine is headed back to where it came from originally – the uplands. Instead of simply taking the dredge spoils to a disposal site, the material is being used at a nursery in Corbin City to replenish the soil there, Scarborough said. The sediment is also blended with cement for road construction and parking lots. 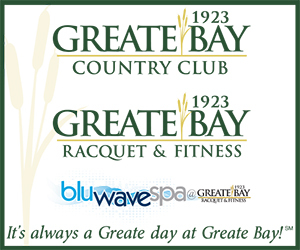 “We have utilized the material for agricultural use and in the construction world,” Scarborough pointed out. All of the sediment is tested to make sure it is free of contaminants and “totally harmless,” he added. “It’s probably cleaner than the stuff in your front yard. It’s just wet,” he said. Once the sediment is scooped out of the water by an excavator, it is placed in large floating containers called “hoppers” and then pushed to shore by a boat. Another excavator-like piece of machinery on land is used to load the material from a large container into dump trucks. The stuff never touches the ground. The dump trucks are equipped with waterproof seals, mud locks and drip gutters to prevent the soupy sediment from leaking out onto the roads. The boat slips in front of the Harbor House condos, at Second Street and Bay Avenue, are the latest dredging project undertaken by Scarborough Marine. 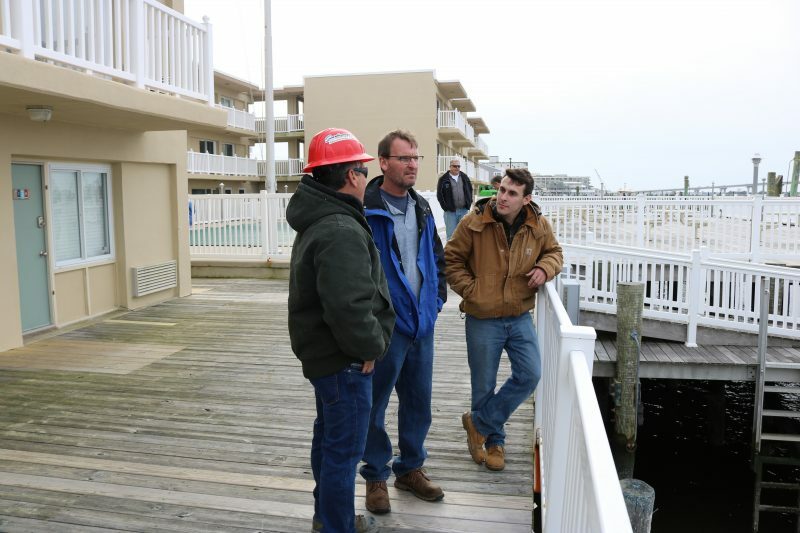 Private boat slips at the Bay Club at Third Street and Bay Avenue and the Nor’easter condos at Seventh Street and Bay Avenue in Ocean City are also part of the company’s dredging work. In all, 15,400 cubic yards of sediment are being removed from all three of those sites – enough to fill 1,040 dump trucks, Scarborough noted. Scarborough Marine also has 21 contracts for individually owned boat slips along the bayfront between 13th Street and Waterway Road. The company is ready to serve other property owners who want their slips dredged, Scarborough said. Typically, it costs about $4,500 per slip. 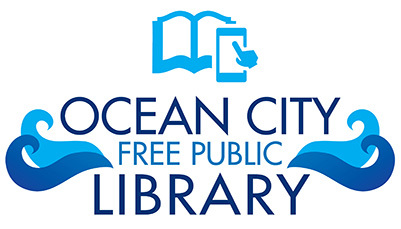 Private boat slip dredging is an offshoot of Ocean City’s proposed five-year, $20 million dredging program that will be done along the entire bayfront. The city has already dredged several lagoons and channels. Boat slip owners are able to piggyback on the city’s dredging permits for their own projects. 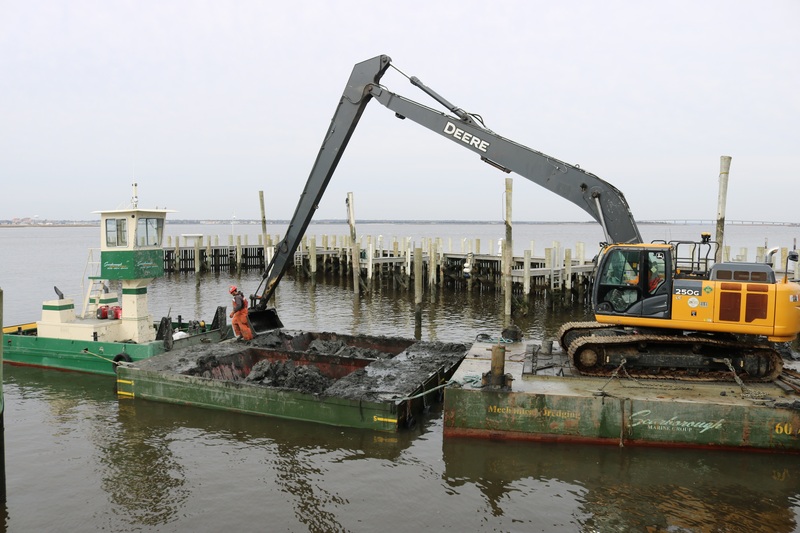 Under the voluntary program, property owners still have to pay for dredging their slips, but the process relieves them of some of the costs and headaches of doing the work on their own, including finding a disposal site for the sediment. From left, Sean Scarborough, Mayor Jay Gillian and Jake Schwartz of the consulting firm ACT Engineers discuss the dredging work. 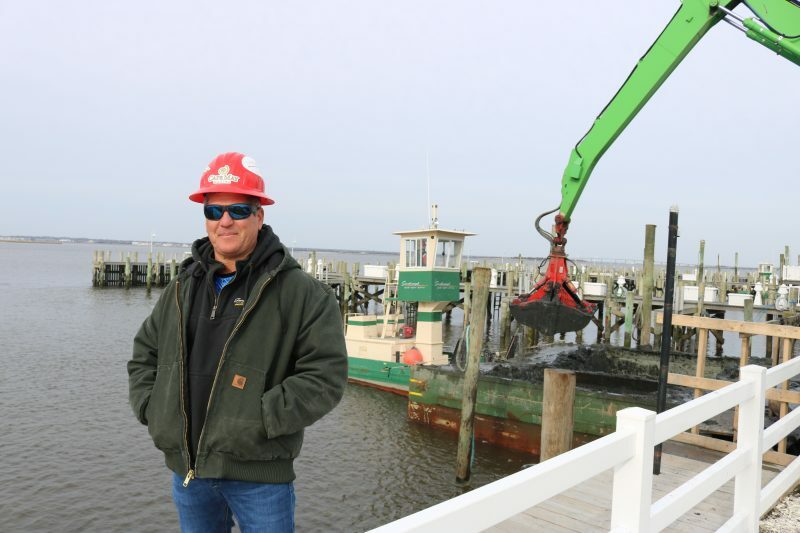 Ocean City’s multifaceted dredging program is being touted as a model for all New Jersey shore towns dealing with the dangerous problem of sediment-clogged waterways. Gillian has made the dredging program a major part of the city’s capital improvement plan. He believes dredging will preserve property values, improve public safety, help the boat owners and marinas and protect the environment. The city has aggressively sought state and federal grants to help pay for the dredging projects. 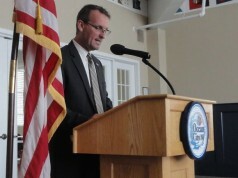 Gillian noted that Ocean City hopes to secure even more grants so that it may expand the dredging program. In the meantime, he praised Scarborough Marine as an example of the “top class” companies that are dredging the boat slips and lagoons. Josh Dougherty, operations manager for Scarborough Marine Group, uses a pole to check the depth of sediment in the lagoon. 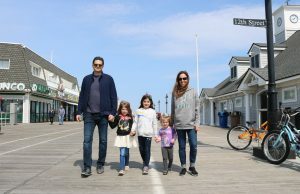 Sean Scarborough, an Ocean City resident, is also the owner of Scarborough Properties, a commercial and residential development company. 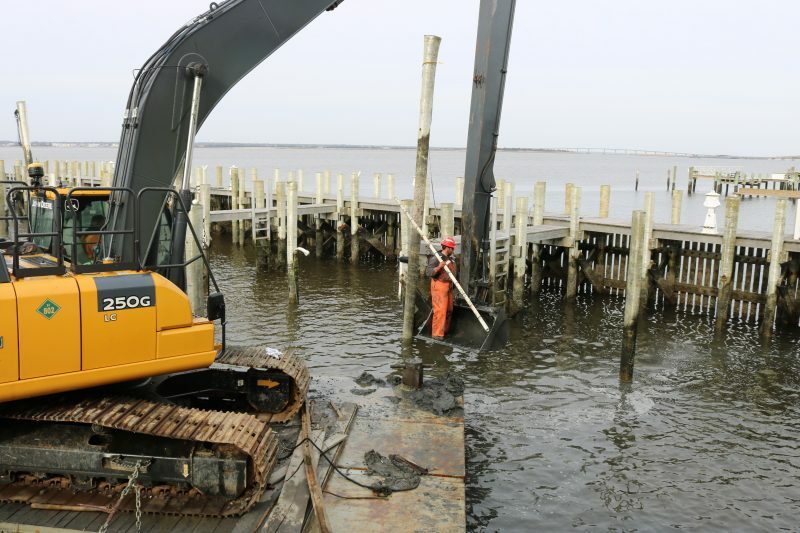 Its ownership of 700 boat slips at the Harbour Cove Marina in Somers Point and the Cape May Marina prompted the company to create Scarborough Marine Group and enter the dredging business. 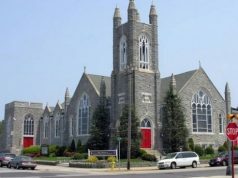 The company’s current dredging projects in Ocean City are hardly expected to be its last. Scarborough estimated that it will probably take years before all the work is completed. 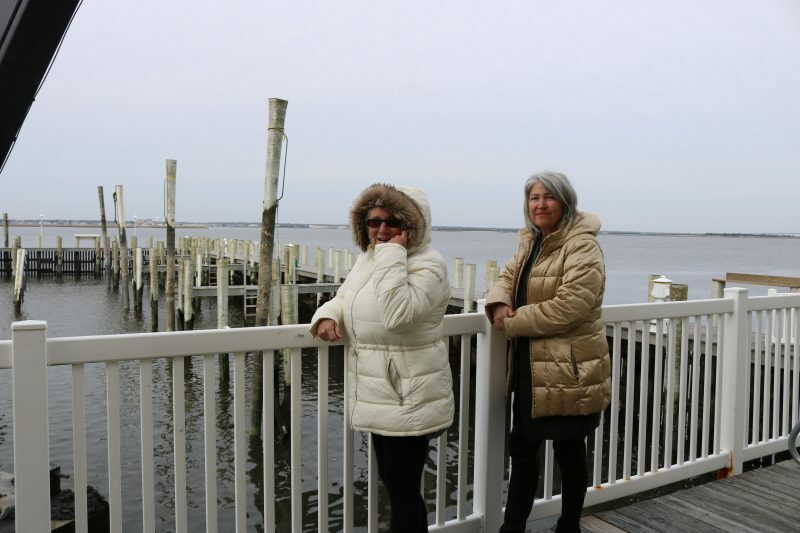 Susan Kwiatkowski and Susan Yeck, who both own vacation condos at the Harbor House, are hopeful that the dredging project will draw more boaters to the marina. Kwiatkowski and Yeck don’t have boats, but they do own slips at Harbor House and would like to rent them out. “I think a lot more boaters will come here because of the dredging,” said Yeck, who lives in Philadelphia. Kwiatkowski, of Hatfield, Pa., explained that bigger boats currently have trouble navigating the lagoon at low tide because the sediment has made the water so shallow. 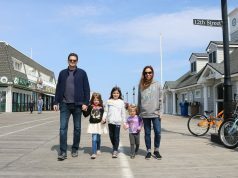 After the dredging is completed, she believes the Harbor House will become an even more attractive setting once the slips are filled with boats. Susan Kwiatkowski, left, and Susan Yeck, who both own condos and boat slips at the Harbor House, are anxious for the dredging work to be completed.